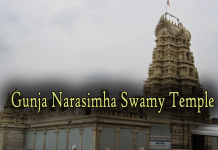 The Bhuvaneshwari Temple with the chola style gateway tower is located on the northern side of the Palace complex corresponding to the Varahaswami Temple in the south with identical looking tower, providing a architectural symmetry to the campus layout. Travel Tips: The Bhuvaneswari Temple is part of Mysore Palace and can be visited together. 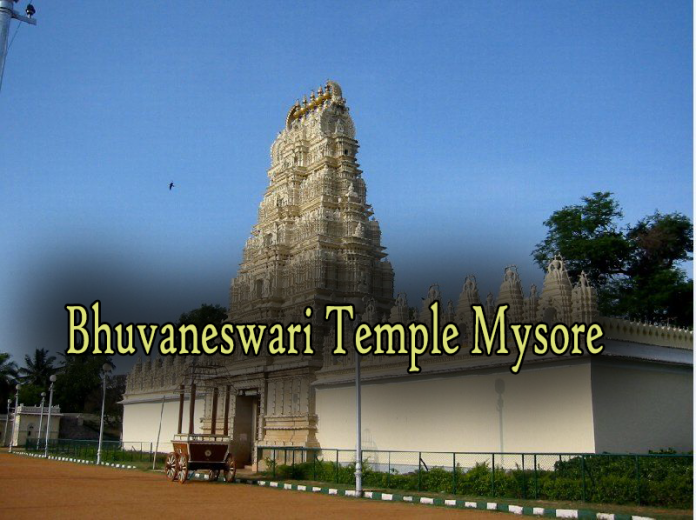 At a distance of 3 Kms from Mysore Railway Station & 2 Kms from KSRTC Bus Station, the Bhuvaneswari Temple is located on the northern side of the Mysore Palace. 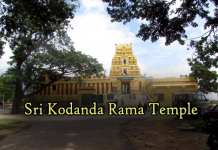 This temple was built in 1951 by Jayachamaraja Wodeyar in Dravidian style. The famous sculptor of Mysore Shilpi Siddalingaswamy carved the main idol of Bhuvaneswari. 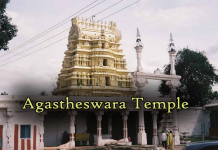 The temple also has the statues of Surya, Maha Vishnu, Maheswara, Rajarajeswari, Ganapathi and Chamundeswari. The temple has a large Surya Mandala in its possession. This copper plate was earlier with the Royal family and was handed to the temple by Jayachamaraja Wodeyar. This plate is offered special pooja on Rathasapthami festival celebrated in February / March.